Tensions were high between the two superpowers during the Cold War; since then, the Americans and Russians have fixed their alliance and eased the visa requirements. In spite of the ease in tensions between the two, there is a checklist of tasks that flyers must complete, and if you expect to travel, whether it be on business or for pleasure, you will need both a passport and visa. For the first-time traveler who has never gone out of the U.S., he may be unsure of the procedures for applying for a passport or Russian visa. 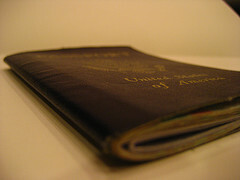 A United States passport is a bit tough to acquire and requires travelers to complete a few small steps from the U.S. State Department’s website. Step one: Fill out a DS-11 form either online or by hand, and in order to finish the document, you will need to provide your social security number and a valid home address. Step two: When finishing your DS-11 form, it is vital to remember to not sign the document until an Acceptance Agent has gone over everything and given you permission to sign the form. Step three: You may submit your forms to a certified government building, but if you are not positive where to submit the paperwork to, you may click on the provided link iafdb.travel.state.gov/ to find the nearest government building. Step four: United States Passports requirements state that an applicant must include valid proof of citizenship along with their DS-11 forms, and proof may come in the form of a copy of a naturalization certificate, birth certificate or certificate of citizenship. When applying in person, you must have proof of identification, either with government identification, driver’s license or citizenship certificate. 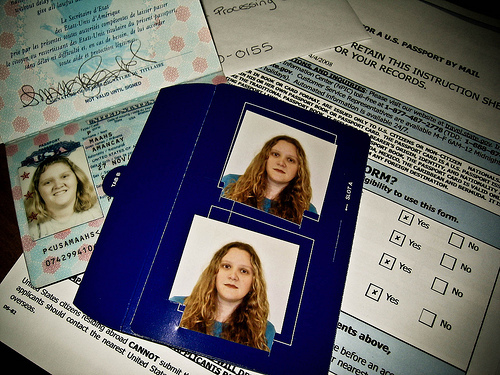 Step five: Make photocopies of your identification documents using blank white sheets of paper, then simply pay the fee and include an additional photo used for your passport. Russian Visas, no matter the class you apply for, will all have the same prerequisites for procurement. 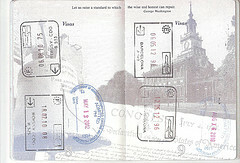 Step one: You must understand the type of visa you need for your trip, and if you are unsure as to which one you will need, you may click on the following link: russianvisa.org/howto.html. Step two: Once you understand the type of visa you may need, you need to receive an invitation for a Russian visa, normally provided to you through a travel agent. Step three: Pick up the Russian visa abroad from the Russian embassy; for travelers, this is often the hardest part of applying for a visa. Ministry of Commerce has just announced the 2004 national ranking of retail business chain, Gome to 23.88 billion yuan in sales ranked second reelection as the first Chinese home appliance retail industry. In the same year, China successfully listed on the United States, completed the basic layout of the country; to the end of the year, Gome’s Direct stores across the country has reached 200. With the December 11, 2004, after China’s accession to WTO to protect certain sectors of the end of 3 years, China’s foreign retailers to fully realize the “three open”, which means that unlimited foreign retail companies will flock to China . According to statistics, more than 10,000 supermarkets in the country store, whether business area of 5,000 square meters, or 10,000 square meters or more, foreign retailers have been overwhelmingly dominated. Clearly, foreign retailers are increasingly threatening the local retail enterprises in China. However, China’s home appliance retail sector, so far, no foreign investment into too much of the impact of China’s home appliance retail industry remains “promised land” look. Because its strength has grown, local home appliance retailers in the face of foreign “invasion” is very comfortable. GOME Ho, vice president marketing, said Yang Qing, China 18 years with the United States created the situation today, will not be foreign-funded enterprises by shaking overnight. 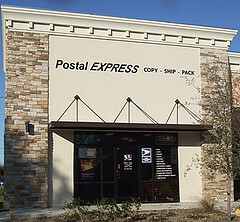 He said that foreign retailers can not state at present the slightest threat to the United States. fully open to foreign investment, still indicates that China’s home appliance industry has been in circulation to the critical period of change. According to Ministry of Information Industry, CCID, IDC and other institutions, in 2005 the domestic market alone will reach the digital IT scale of 400 billion yuan; America’s largest home appliance chain Bestbuy also predict that China will become the world’s largest consumer market. Such a huge market potential and development space for China’s home appliance retail industry provides a huge space for development, the face of the unknown gradually into the market and foreign-funded enterprises in China, has entered a mature phase of the appliance retail industry will move towards where we wait and see. I am an expert from Frbiz Site, usually analyzes all kind of industries situation, such as veterinary laser , cervical traction devices.